Expected to be unveiled this Wednesday, October 21st, the Meizu Blue Charm Metal offers a premium feel thanks to the metal build used on the handset. While the device has yet to be introduced, the phone has been spotted on the OppoMart website priced at $249. According to the listing, the unit carries a 5.5-inch display with a 1080 x 1920 resolution. The MediaTek MTK6795 SoC powers the phone, containing an octa-core 2.0GHz CPU. Unlike previous rumors, this listing shows that the device will feature 3GB of RAM, and will have 16GB/32GB of internal storage. The camera combo from back to front weighs in at 13MP/5MP, with a 3050mAh battery in charge of keeping the pistons pumping. The Blue Charm Metal comes with support for 4G LTE, and has YunOS, based on Android 5.1, pre-installed. The OppoMart listing shows that the phone is out of stock, and considering that it won't be outed for another two days yet, we can't be sure that the price is not just a placeholder. Best bet, if you have an interest in this model, is to keep checking in for the latest leaks, and circle the calendar for Wednesday when Meizu holds its media event. Every time Oppomart lists unnannounced phones with rumored specs. And every time this site and other tech sites will post this info, not sure why though. It's just a placeholder based on rumored specs and rumoured price. But I am sure Oppomart will thank this site and other sites for the free publicity. 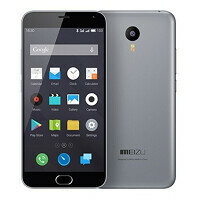 This design from Meizu though looks okay to me, is getting too stale. M1 note: same processor, same speed and such M2 note: same processor, UNDERCLOCKED speed and weaker GPU? M Metal (I call this the m note 3), Helio x10 and beefier ram upgrade. Nice Meizu marketing strategy eh? Can't wait for the reviews though. With optimized software...this is gonna be great! Nah, m1 note and m2 note have diferent processors, with much less powerful gpu in the m2 note.